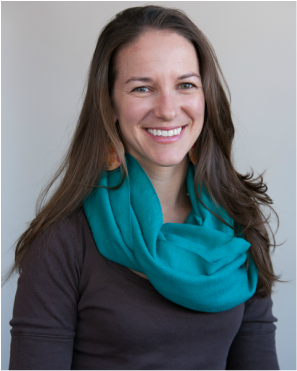 Faith is also a prenatal yoga teacher and postpartum doula in Boulder. Contact Faith for a free 20 minute phone consultation. Faith is a compassionate massage therapist in Boulder who supports women, men, and babies during the amazing and transformational time of conception, pregnancy, and postpartum. Beyond maternity Faith enjoys working with men and women of all ages seeking the unique healthy body balance that is right for their life. Faith offers a bodywork blend of clinically proven techniques and intuition-based practice; often incorporating multiple modalities in each session blending swedish, deep tissue, orthopedic, and integrative work. Faith is a Certified Prenatal, Labor, and Postpartum Massage Therapist. This means she has specialized training and is experienced in safe and effective positioning and techniques for every stage of pregnancy, both healthy and high-risk. She uses this knowledge to create a blissful, relaxing environment in which mom and baby take time-off and find relief from the physical and emotional rigors of pregnancy. Maternity massage has many benefits including ease from the aches and pains associated with pregnancy and early newborn care, better sleep, emotional and physical support for the natural changes of the body, and increased mama-baby bonding. For postpartum mamas babies up to 12 weeks are welcome at sessions 75 minutes or longer. In these one hour sessions with your baby you learn the basics of healthy infant massage and a daily massage routine to share with your baby- a wonderful way to bond whether you spend all day together or to give bonding an after work boost. Appropriate for babies ages 3 weeks and older. Infant massage contributes to proper brain development by enhancing sensory and motor development, enhances infant immune system, increases sleep periods and decreases fussy periods, strengthens caregiver intuition and communication with infant, and is a really fun activity for parents and babies to share! This bodywork is appropriate for men and women looking to reduce stress, work through chronic pain and tension, or increase athletic performance. No need to be pregnant or postpartum! Faith works with clients of varying ages and stages of health. Faith learned her first massage skills at age five and has been practicing ever since. Although Faith quickly discovered she loved all forms of massage, she focused on specializing in deep tissue - orthopedic work and a Certification in Prenatal, Labor, and Postpartum support. After massage therapy school, Faith deepened her education becoming a certified prenatal and postpartum yoga teacher and a certified postpartum doula. She currently divides her days between massage, yoga, and postpartum mama care. When she is not doing bodywork or yoga you can find Faith reading books, playing in Colorado's great outdoors, or cooking up something spicy in her kitchen. Maternity massage has many benefits including ease from the aches and pains associated with pregnancy and early newborn care, better sleep, emotional and physical support for the natural changes of the body, and increased mama-baby bonding. Infant massage contributes to proper brain development by enhancing sensory and motor development, enhances infant immune system, increases sleep periods and decreases fussy periods, strengthens caregiver intuition and communication with infant, and is a really fun activity for parents and babies to share!